Cape Town - Khanyi Mbau's successful new talk show Katch it with Khanyi is set for a second season on eKasi+ (OVHD 105) on OpenView HD from Friday 18 July at 18:00. Katch it with Khanyi moves to a new studio at the Orlando Stadium with a panoramic view over Soweto. The first season was filmed in Vilakazi Street. 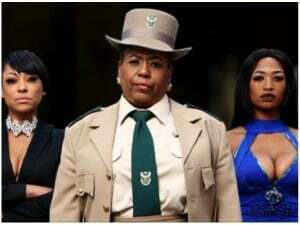 Katch it with Khanyi has become "must catch" television as Mbau, formerly the incessant subject for hungry tabloids looking for salacious stories, has managed to start a reinvention process that shows in her new persona. During its first season Katch it with Khanyi managed to attract big name personalities which is set to continue for the new second season. The debut episode will feature Nelson Mandela's grandson, Ndaba Mandela, 30, who doesn't often talk to the media. Alongside Ndaba Mandela in the second season premiere episode will be Kojo Bafoe, the editor of Destiny Man magazine. Other guests in the second season include former TKZee member Tokollo Tshabalala, Nomzamo Mbatha, Pallance Dladla and Maps Maponyane. "The talk show genre requires a strong, intuitive and colourful host," says Monde Twala, the group head for e.tv's channels division. "Engaging and probing people of different social standings is a mammoth task that our host, Khanyi Mbau, has come to master. "A second season means the show has not only worked, but that it is a must watch in local programming," says Twala. About the talk show's new studio location and move to Orlando Stadium says Keshni Rajoo, the manager for production and programming at e.tv that "it's not every day that a non-sport specific show is shot at a stadium".